Zinc is one of the trace minerals that your body requires to maintain optimal health. Even though zinc is an abundant mineral, you can suffer from a zinc deficiency. If you have a zinc deficiency, doctors will typically recommend zinc supplements that support absorption by your body. Zinc picolinate is a type of zinc supplement that supports absorption. However, you should consult a medical professional prior to taking zinc picolinate or any other supplement. Zinc picolinate is an acid form of zinc that your human body can more easily absorb than other forms of zinc. Absorption of zinc in your body is a complex process that involves the zinc passing through your intestinal membranes, into your blood stream and into your individual cells. Your body also requires zinc as a primary component to support metabolism in your body. The Best Form of Zinc? In a study designed to measure the comparative absorption rates of different forms of zinc, scientists measured zinc levels in test subjects hair, skin and urine since these areas contain the largest concentrations of zinc in the human body. The study, published in the journal Agents Actions, found that zinc picolinate had better absorption in test subjects than either zinc citrate or zinc gluconate. In fact, after a four-week period the study found a significant increase in zinc levels in the group that had received a zinc picolinate supplement, compared to no significance chance in zinc levels for the test subjects that received zinc citrate, zinc gluconate or a placebo supplement. According to "The Doctor's Complete Guide to Vitamins and Minerals," Zinc picolinate supplementation can help to control acne. It also functions as a general immune booster. Zinc picolinate can also help your body to rid itself of many types of toxins; doctors commonly recommend this supplement to treat exposure to lead. Doctors also commonly recommend zinc picolinate to pregnant women, since pregnancy can result in a zinc deficiency for many women and a pregnant woman's body requires zinc for the proper development of her fetus. Additionally, zinc picolinate can help prevent and treat conditions such as prostate enlargement, liver disease and cirrhosis; and zinc, combined with other oxidants including vitamins C, E and beta-carotene, may be helpful in slowing the progression of age-related macular degeneration. Zinc picolinate does not have any known side effects associated with taking a normal dose of this supplement. However, you should never exceed the amount of zinc picolinate recommended by a medical professional. According to the Dietary Guidelines for Americans, 2015-2020, the recommended intake of zinc for adults is 8 mg per day for women and 11 mg per day for men. Children need less zinc, with the exception of young women between the ages of 14 to 18, who need 9 mg/day. Exceeding this amount, unless under doctor supervision, risks exposing your body to zinc toxicity which can prevent iron and copper absorption, causing a deficiency of those minerals. Finally, just as too much zinc can disrupt absorption of certain minerals, megadoses of folic acid has the potential to provoke a zinc deficiency. 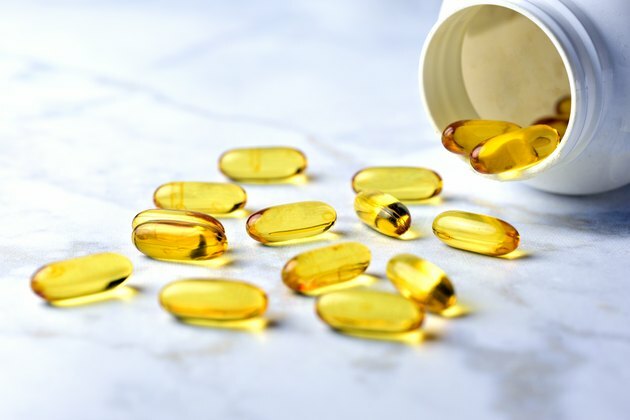 It's a good idea to speak to your doctor about any supplement you take, but be especially sure to consult a medical professional if you think a child might need zinc or other supplements. What Does Chelated Zinc Do? Do Zinc Supplements Help Build Muscle?